It’s Songwriter Day here at DisClaimer. Both my favorite overall performance and my favorite newcomer are Nashville singer-songwriters. Actually, now that I think about it, those are usually my favorite Music City music makers. The Disc of the Day goes to Lori McKenna. You won’t find a better representation of contemporary song craftsmanship than you will on her Massachusetts collection. 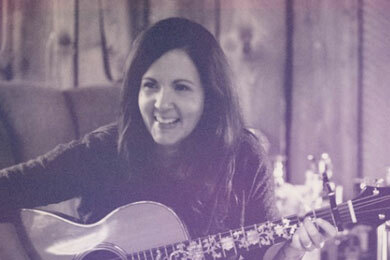 The DisCovery Award goes to country newcomer Erin Enderlin. Remember that name. -Chesty-voiced Houser has been on a roll lately, but mostly with songs that don’t display his real singing prowess. This upbeat romance changes that, since the beefy, range-y choruses give him plenty of chances to turn on the flame throwers. Love it. -The sentiment is super sweet. His dad yelled from the 50-yard line, beamed at the wedding, grinned at his baby steps, taught him to drive, held his hand, cheered during graduation and tied his tie for the senior prom. Now, just above the clouds, Dad still has the best seat in the house. -Her singing is still packed with personality, and the break-up song has lots and lots of wit (”saying goodbye, one finger shy of a peace sign” and “you put the ‘f.u.’ in ‘fun,’” for instance). The overall production seems rather thin, however. -The singers all sound like they’re trying to hard. The “shake your money maker” party song is trite. -Suicide is the 10th leading cause of death in America, and this superbly written song portrays a man trying to choose between life and death. The two Rosehill boys sing the fire out of it. -Clint’s Cracker Barrel collection When I Said I Do contains crisp remakes of 10 of his hits (including two Lisa Hartman duets) and three new tracks. This rolling, mid-tempo outing comes from the soundtrack of a forthcoming movie called Aussie Adventure. It has lots of what I love about Clint — his excellent sense of melody, the craftsmanship of his lyrics and the instantly catchy way he puts a record together. -We’ve been seeing McKenna’s name on songwriting credits a lot lately (Alison Krauss, Little Big Town, Hunter Hayes, Faith Hill, etc.). Her current Massachusetts CD is a stirring reminder of what a gripping record maker she is, herself. Its lead-off track and debut single throbs with truth and conviction. She leaves a no-good lover with a bitter spit, and you’ll hang on every brilliantly penned line. 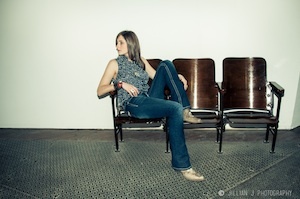 -Enderlin’s songwriting collaborators on her debut CD are a stellar lot. The record’s title tune, single and video is a complex portrait of a wronged woman spilling her guts. Joey Martin of Joey + Rory is the harmony singer behind Enderlin’s riveting country delivery. Strong stuff. -It takes a lot of moxie to cover a song that master vocalists such as Gladys Knight (1974) and Ray Price (1973) have previously made their own. But the dulcet alto of Kelly Lang is more than up to the task. She dips and soars in all the right places and knows just how to phrase this Jim Weatherly song classic. The piano and string arrangements are heavenly, too. It comes from her fine collection, Shades of K.
-Western Avenue is a Canadian trio comprised of Nikki English, Keith Robertson and Matt Williams. She sings a smoky low lead vocal on this stately, thumping ballad, and the guys chime in with perfectly placed harmonies. All three are song writers on their fine, eponymous titled debut CD. Recommended.